North of downtown Sacramento is an epicenter of delicious restaurants and cafes that not many people have heard about. There are plenty of great breakfast choices, including hidden gems around the Del Paso Heights neighborhood. Here, we check out some of the best. One wouldn’t expect to find classic Southern comfort food in Northern California, but Sarom’s Southern Kitchen exceeds most expectations. 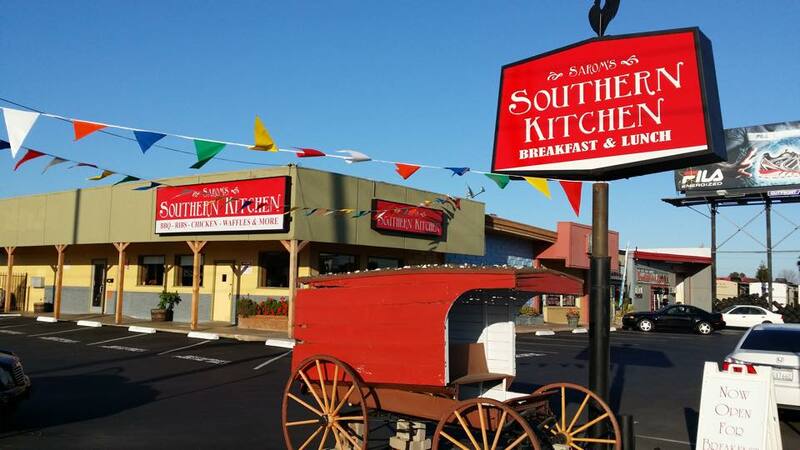 This dynamic home-style place has many of the deliciously greasy Southern dishes that people have come to love, from their Sarom’s special omelette filled with almost every kind breakfast meat to eggs with chicken-fried steak to chicken and waffles (which can be enjoyed for breakfast, lunch, or dinner). Chewy’s delivers fresh and delicious food at an unbelievable price. The breakfast menu is served all day and has plenty of great options, with a distinct Latin influence. Some of their traditional Mexican dishes include breakfast burritos, cazuelas, and huevos rancheros, as well as plenty of other morning favorites, like French toast and eggs Benedict. Chewy’s big portions will leave customers full and satisfied after every visit. Mama Kim Cooks offers some unique and different dishes that really keep customers on their toes. With some of the freshest ingredients, Mama Kim balances health and taste in order to create the most rewarding eating experience. The menu includes surprising and absolutely mouthwatering dishes, like king crab and spinach Benedict with spicy tomato hollandaise on cheddar chive biscuit and fingerling potatoes, and poached eggs with duck confit and a sweet potato hash. Brunch is only served on Sunday. Slightly tucked away, this cafe is a hidden gem of the neighborhood. Uptown Cafe has all the best classic breakfast dishes, from sweet options, like Belgian waffles, French toast and buttermilk pancakes, to great savory choices, like the Uptown biscuit Benedict and the veggie omelette. Uptown Cafe also brings a creative touch with their specials, which change every day. Lil Joe’s Over Million Steaks Sold may be a mouthful to say but is a real favorite with the locals here. Opened in 1935, it’s one of the oldest steakhouses in Sacramento and boy does it deliver good breakfast food! Lil Joe’s breakfast menu has all the classics, while the spot sees a lot of the older crowd come in as regulars, making for a bubbling local atmosphere.